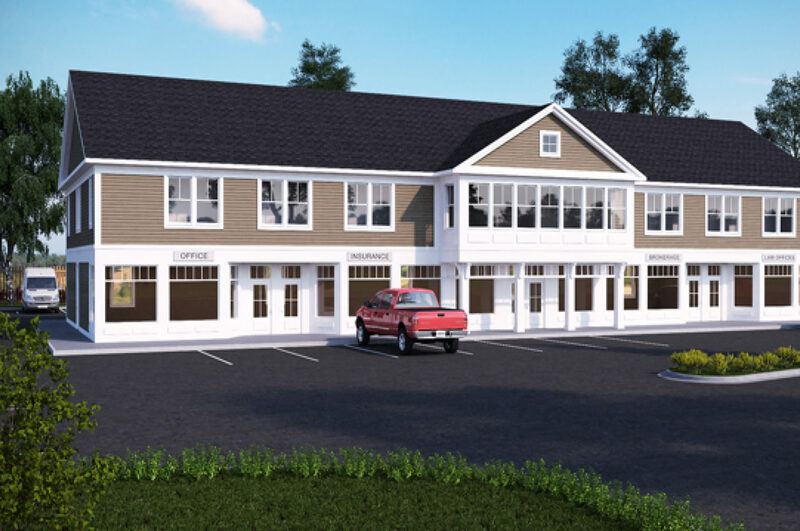 12,500 sqft mixed use commercial building. The design of speculative commercial buildings require a flexible plan to allow the owner to divide the space to suit prospective tenants. Also required is an efficient structural system and architectural details that allow for ease of construction. This building is located on a busy road, the goal was to maximize the fenestration at the first floor to allow for greater display area.